SHINee’s Key recently had his artwork featured in a gallery owned by his uncle. 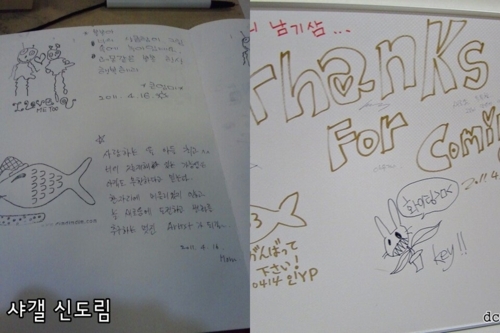 SHINee’s Jonghyun, Key’s mother, and Key’s auntie all left him messages in the gallery’s guestbook! Click below to see what they wrote. “Bum bum-ah, your personality is already in your drawings. 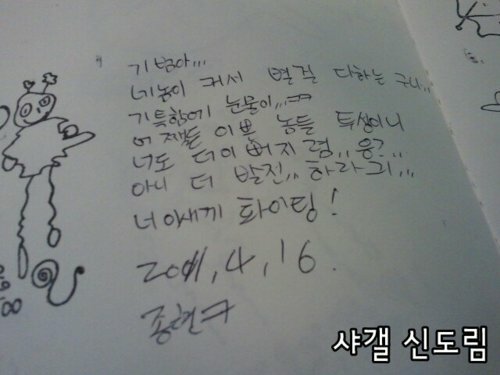 This entry was posted in SHINee and tagged art, jonghyun, key, message, SHINee. Bookmark the permalink. LOL love me or love Key? I’m thinking Key. An additional vision cream product or service lifecell cream to numerous skin care ingredients, from aromas to chemical preservatives. Here are our items that do not surpass the buzz and consist of several dangerous chemical compounds. Alternatively, some people have reported that, while very good cream is very effective. Since the part, several supplement antioxidant properties. or if you have to manually code with HTML. I’m starting a blog soon but have no coding experience so I wanted to get advice from someone with experience. Any help would be enormously appreciated!